Johns Hopkins University astrophysicist Charles Bennett and two colleagues today were awarded this year’s $1 million Shaw Prize in astronomy for groundbreaking research that has helped determine the precise age, composition and curvature of the universe. Bennett was cited for his accomplishments as principal investigator of the Wilkinson Microwave Anisotropy Probe, a spacecraft which in less than a decade has added significantly to our knowledge of the universe’s history and structure. WMAP, launched in 2001, observes and measures the cosmic background radiation, the oldest light in the universe. Bennett and his colleagues, both from Princeton University, will accept the award in a ceremony Sept. 28 in Hong Kong. Sometimes referred to as the “Nobel Prize of the East,” the Shaw Prize was established by Run Run Shaw, a philanthropist and longtime leader in the Hong Kong film and television industry. It has been awarded annually since 2002 in three fields: astronomy, life science and medicine, and mathematical sciences. Bennett is the second Johns Hopkins researcher to win a Shaw Prize in the seven-year existence of the award. Adam Riess, like Bennett a member of the Henry A. Rowland Department of Physics and Astronomy in the university’s Krieger School of Arts and Sciences, was a co-winner in 2006 for the discovery of dark energy. Co-winners of the 2010 astronomy prize with Bennett are Princeton astrophysicists David Spergel and Lyman Page, both members of the WMAP team. In 2003, Bennett and the WMAP team made international news with their announcement that the universe is 13.7 billion years old and is constituted of less than 5 percent atoms, one quarter dark matter and nearly three-quarters a mysterious, dark energy. WMAP’s results also support the view that the cosmos grew from subatomic size to astronomical scale in less time than it takes to blink your eye. Bennett’s team has continued to make headlines in the years since, as these conclusions were further bolstered with more data. In 2009, WMAP reports were the most cited scientific papers in the world. WMAP was Science magazine’s “breakthrough of the year” in 2003. Bennett previously served as deputy principal investigator on NASA’s Cosmic Background Explorer satellite, which was launched in 1989 and which provided evidence in support of the big bang theory. 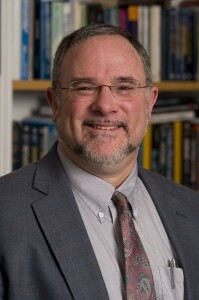 In addition to the Shaw Prize, Bennett won the Comstock Prize in Physics in 2009, the Harvey Prize by the Technion-Israel Institute of Technology in 2006 and the Henry Draper Medal of the National Academy of Sciences in 2005. In 2006, he also shared the Peter Gruber Foundation’s Cosmology Prize with Nobel laureate John Mather, also of the COBE team. Bennett was elected to the National Academy of Arts and Sciences in 2004 and the National Academy of Sciences in 2005. He received two NASA Exceptional Achievement medals and a NASA Outstanding Leadership medal. He is a fellow of both the American Physical Society and the American Association for the Advancement of Science. Digital photos of Bennett are available. Contact the Office of News & Information at 443-287-9960.